Miami Dolphins RB Lamar Miller worked predominantly with the first-team offense, but RBs Daniel Thomas, Mike Gillislee and Marcus Thigpen also saw carries Tuesday, May 21, in organized team activities (OTAs). 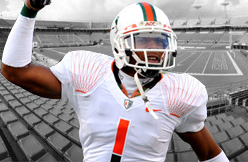 Kayne Farquharson (6'2, 190, Miami) becomes the 3rd Wide Receiver to earn Offensive Player of the Week in 2013 (Bryan Pray Week 2, Ryan Balentine Week 10). In an 82-53 victory over the Wyoming Cavalry, the Danger receiver turned in the most impressive performance for a player at his position this season. Farquharson hauled in 8 catches for 186 yards and 3 touchdowns. For the season, he ranks at or near the top in nearly every receiving category; 2nd in receptions (61), 1st in receiving yards (866), and 3rd in receiving touchdowns (17). A 2nd Team All-IFL selection in 2012, Farquharson is well on his way to collecting a 1st Team nod this year. THE EAGLES and the Giants exchanged players this offseason. Not formally, of course, but New York signed Eagles free-agent defensive linemen Mike Patterson and Cullen Jenkins, and the Eagles signed former Giants first-round safety Kenny Phillips. It will be interesting to see which organization had a better read on the other squad's talents. Patterson, a smallish defensive tackle, didn't fit the Birds' new defensive scheme. Jenkins just seemed to be wearing down at 32, and seemed expendable to a rebuilding team. Both men were solid, character guys on a 2012 defense that wasn't overflowing with those. Phillips, 26, probably has the most upside of the trio, could fill a huge need here, but he also might come with the most risk. A lot of fans would have been happy had the Eagles drafted Phillips in 2008, instead of trading down and letting the Giants grab the 6-2, long-armed former Miami star 31st overall. But there wasn't a lot of rejoicing when the Birds finally did acquire Phillips in March, signing him to a 1-year free-agent contract. The reason wasn't hard to understand: Phillips underwent microfracture surgery after a bad knee injury in 2009, then suffered medial collateral ligament and posterior cruciate ligament injuries that limited his play last season. 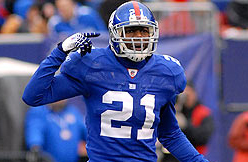 In between, he was a standout on the 2011 Giants team that won the Super Bowl. The Giants wanted to bring him back, but apparently they didn't make much of an effort, since Phillips ended up signing a make-good 1-year deal with the Eagles. One factor in his departure could be that he indicated late last season he felt his rehab had been mishandled. So far, the Eagles seem to be taking a cautious approach with Phillips in OTAs, though he said yesterday that his knee feels fine. "My knee is good," Phillips said. "MRIs show that it healed up nicely. Right now, we're just taking it one day at a time." Phillips hasn't been working with the first-team defense during the 2 days reporters have been allowed to watch spring drills. He declined to shed any light on that, but agreed that coaches "most definitely" are easing him in. "They're definitely letting me take my time, trying to just monitor me right now, so I can be good when it really counts, which is training camp and the season," Phillips said. "It's different, it's a lot different [from being an established starter with the Giants]. I'm not with the first group, but I'm still getting the same amount of reps as those guys, basically going out there and making plays and showing the coaches that I am a starter." A reporter asked Phillips if he is the player he was a few years ago. His answer was typical of a veteran who has suffered serious injury. "I'm better, because I'm smarter; I know what it takes to get from Point A to Point B. I know when my body needs rest," he said. "I feel like I have a long career ahead of me, as long as I just be smart with it. It's definitely something I have to be conscious of when I'm in the weight room or when I'm on the field, how many reps I take." Phillips, mainly a free safety with the Giants, said new Eagles defensive coordinator Billy Davis requires more interchangability. "That's what I like about it so far. I'm not going to just be designated in one area," Phillips said. "I'm going to get a chance to show that I'm capable of making plays." Texans cornerback Brandon Harris left practice Tuesday after colliding with rookie receiver DeAndre Hopkins. When Texans coach Gary Kubiak spoke after the team’s second organized team activity session, Harris was still being evaluated. A few more players were held out of certain team drills or all of them. Kubiak said slot corner Brice McCain is only doing individual drills this week and should be back to full practices next week. McCain had foot surgery in December. Kubiak said McCain did not have a setback on the injury. The coach also shared that nose tackle Sunny Harris and tight end Phillip Supernaw each suffered a foot injury yesterday. They won’t be back this week. “You will not see them the rest of the week for sure,” Kubiak said. The Texans were also without inside linebacker Tim Dobbins, who isn’t injured. Organized team activities are voluntary workouts. Three Nebraska Danger players were the victims of a burglary Tuesday, according to Grand Island police. They say what makes this crime unusual is the thieves did not use the front door to break into the second story apartment. "It was a difficult situation because anytime somebody breaks into your home, you feel almost violated," said Kayne Farquharson. Farquharson said when he returned to his apartment on Tuesday, he knew something was wrong. "Cupboards in my bathroom were open," he said. "the TV was missing, and then when I went to my room, my mattress was flipped. Clothes and some shoes were missing, some cash. And, my other roommates, they were victims also." G.I. police say the afternoon burglary is different than others because it happened in broad daylight. "It's a second story apartment, so it's kind of unusual," said Capt. Dean Elliot. "There's nothing disturbed. Door was still locked as far as the main entrance door." The residents suspect the thieves scaled their balcony then helped themselves to electronics, clothes, and cash. "We leave our sliding door open, because we're on the second floor," said Farquharson. "If I would've known better I would've closed it, but didn't think anything of it." Police say warmer weather means more open windows and doors give burglars more opportunities. "Screen doors, patio doors, that type of stuff, if you're going to be leaving, make sure those are shut and locked," said Elliot. "Windows are a different story, but if they're crank-out style window you don't have to have those fully open, but not as far as somebody could reach in and roll it open even farther." "My message to anybody out there - just be careful, be cautious of what's going on in your surroundings and people you invite to your home because you just never know," said Farquharson. Anyone with information about this or other burglaries should contact G.I.P.D. or Crimestoppers at 308-381-8822. PHILADELPHIA — Instead of drafting a big-time safety in the first round, the Eagles signed a safety drafted in the first round. Phillips, 26, is the eternal optimist. 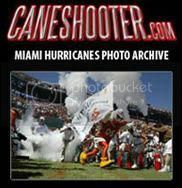 The 6-2, 208-pound product of the University of Miami signed a one-year, $2 million deal with the Eagles, half of which is in the form of a roster bonus. After watching tape of the 2012 safety play, the Eagles decided to upgrade. They added veteran Patrick Chung in free agency and selected Earl Wulff in the fifth round of the draft. Still on the roster are safeties Nate Allen, Kurt Coleman, Colt Anderson and David Sims. If Phillips is healthy the Eagles have someone to build around. 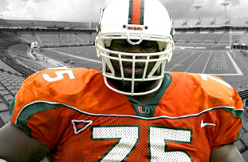 Phillips ran a 4.48 and bench-pressed 225 pounds 19 times at the 2008 scouting combine. He was the top-rated free safety in the draft, and the only one selected in the first round, albeit right before Round 2. For now, the best safety from that draft is Thomas DeCoud, the late third-round choice of the Atlanta Falcons. The Eagles drafted a safety in 2008. Remember Quintin Demps? The Birds took him off the board in the fourth round. Phillips was just finding his groove when he underwent serious microfracture surgery on his left knee in 2009. Two years later he was back in the starting lineup for the Super Bowl XLVI champion Giants. Last season Phillips sprained the MCL in his right knee tackling Eagles running back LeSean McCoy in the first quarter of their Week 4 Sunday night game at Lincoln Financial Field. Phillips played in just two games the rest of the season and with eight interceptions in five seasons and 41 starts, is picking up the pieces. Phillips isn’t pushing the knee just yet. The plan is to be fully prepared for training camp and the regular season. Phillips is encouraged he’ll get a shot to showcase more of his skills than during his tour with the Giants. Veteran safety Antrel Rolle, his teammate with the Giants, gave Eagles defensive coordinator Billy Davis a glowing recommendation from their time with the Arizona Cardinals. Phillips needs a solid year to resurrect his career. He’s now playing special teams, which wasn’t part of his job description with the Giants. Phillips has his fingers crossed the knowledge he picked up over the past few years will speed his ascent back into the limelight. When healthy, Phillips is one of the top deep pass defenders in the game, a centerfielder with ball skills second to veteran Ed Reed. MIAMI — James Jones talked about retiring after last season. But there are no such thoughts now. 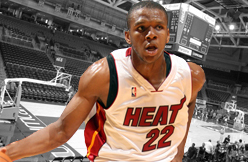 The Miami shooting guard plans to pick up his $1.5 million player option for next season and return to the Heat. “Unless something crazy happens, I’ll be back,’’ Jones said Wednesday in an interview with FOX Sports Florida. Jones said after the Heat won the championship last season he “most definitely’’ was thinking about retiring. But he returned this season and now says he’s not considering retirement. Jones, 32, is making $1.76 million this season, although he has a total take of $3.35 million when one considers buyout money he got from the Heat in the summer of 2010. After making $1.5 million next season, Jones then plans to evaluate his situation. “I got one more year, and we’ll see where it goes from there,’’ Jones said of what he might do after next season. The 10-year veteran played in just 38 regular-season games this season and averaged 1.6 points. It’s not out of the question, though, he could play a bigger role for the Heat next year. Shooting guard Ray Allen won’t make a decision until after the season whether he will pick up his $3.23 million option for 2013-14. And there’s a strong chance the Heat will release shooting guard Mike Miller as part of the NBA’s amnesty rule. Green Bay --- The most noticeable absentee from Tuesday's voluntary organized team activity wasn't a major surprise --- Packers cornerback Sam Shields. A restricted free agent, Shields has not signed his tender with the team. Coach Mike McCarthy would not offer a specific reason for Shields not practicing, but Shields is likely eyeing a lucrative long-term deal. Given the second-round tender, Shields would make $2.023 million in 2013 if he signed. 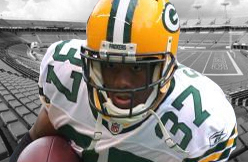 Deep at cornerback, the Packers have leverage in contract talks. Second-year cornerback Casey Hayward worked with the No. 1 defense opposite Tramon Williams. Also, Davon House is expected to compete for a starting job and Green Bay drafted Micah Hyde in the fifth round of this year's NFL draft. With Hayward and House, the Packers may not be quick to budge. Shields did finish last season strong. Upon returning from a high ankle sprain, he finished with four interceptions and 11 pass break-ups in his final six games. One of Shields' closest friends on the team, safety Morgan Burnett, says he has kept in touch with the corner. Burnett said the two haven't talked much about football, instead catching up on each others' off-seasons. To Burnett, it is strange not to have Shields in the secondary. "Yeah, it's different not seeing Sam because you all pretty much know that's who I'm with all the time," Burnett said. "So it's different not having Sam here, but hopefully he'll be here soon and I'll have my buddy back." In Hayward and House, the Packers do have other options to turn to right now. Working from the slot as a rookie, Hayward led the team in interceptions (six) and pass break-ups (21). Battling a shoulder injury, House showed promise when healthy, too. He had 26 tackles, one sack and five break-ups last year. Possibly as precaution, House did not participate at Tuesday's OTA. "Those guys are very athletic," Burnett said. 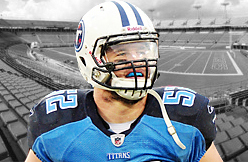 "Casey, from his play this past season, he's a ball hawk capable of making plays. House is a big corner. He makes plays. It's an honor just to be around these guys because they're very athletic and they challenge you to get better and compete because you don't want to let those guys down because they're very athletic and make plays, so it challenges you to do your job." FOXBOROUGH -- Patriots defensive captain Vince Wilfork spoke to the media Tuesday after practice, remarking on the team's second day of organized team activities. Wilfork noted that this was the time of the year for the Patriots to get to know each other and, more pointedly, to get in shape. "That's why you have these days," Wilfork said. "Get in, get acquainted with one other. Prepare as a team. I think that's the most important thing, to prepare as a team. And individually, do what you can do to help this team. That's where I'm at. "Like I said, I'm very excited. Every year it seems like the more and more you play, the more excited you get to come back." Wilfork was asked about his own condition. "Hey, I'm in decent shape," Wilfork said, to laughs. "In decent enough shape. But that's why you have these practices, you have OTAs, you have offseason workouts, you have training camps, just to get in shape and get a chance to get acquainted with one another and that's where we at." Kenny Phillips and Connor Barwin were the Eagles' highest-profile free agent signings this offseason, but Barwin's resume doesn't match that of Phillips, a key player on the Giants' Super Bowl winning team two seasons ago. A lot of fans would have been happy had the Eagles drafted Phillips in the first round in 2008, instead of trading down and letting the Giants grab the big, long-armed former Miami star 31st overall. But there wasn't a lot of rejoicing when the Birds finally did acquitre Phillips in March, signing him to a one-year free agent contract. The reason wasn't hard to understand: Phillips underwent microfracture surgery after a bad knee injury in 2009, then suffered MCL and PCL injuries that limited his play last season. So far, the Eagles seem to be taking a cautious approach with Phillips in OTAs, though he said Tuesday that his knee feels fine. Phillips hasn't been working with the first-team defense during the two days reporters have been allowed to watch spring drills. He declined to shed any light on that Tuesday, but agreed that coaches "most definitely" are eaqsing him in. "They're definitely letting me take my time, trying to just monitor me right now, so I can be good when it really counts, which is training camp and the season," Phillips said. 'It's different, it's a lot different (from being an established starter with the Giants.) I'm not with the first group, but I'm still gettting the same amount of reps as those guys, basically going out there and making plays and showing the coaches that I am a starter." A reporter asked Phillips, 26, if he is the player he was a few years ago. His answer was typical of a veteran who has suffered serious injury. "I'm better, because I'm smarter; I know what it takes to get from Point A to Point B. I know when my body needs rest," he said. "I feel like I have a long career ahead of me, as long as I just be smart with it. It's definitely something I have to be conscious of when I'm in the weight room or when I'm on the field, how many reps I take. At the same time, I'm going to get my work done. I'm never going to just tap out. I'm going to do what I have to do." 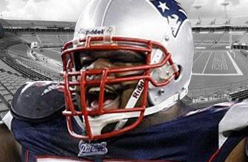 FOXBOROUGH – Vince Wilfork has been at this for a long time. Ten years, to be exact. For some players, the novelty and excitement of being in the league wears off as years of grueling practices and marathon film sessions and nagging injuries begin to pile up. But Wilfork isn’t like those players. He’s still invigorated and excited over each day of work. He feeds off the passion of younger players and enjoys working with them and preparing for new a journey and seeing how it all comes together. These dog days of long practices under the summer sun are his favorite time of year. Wilfork said that he likes this year’s group of defensive linemen, which features newcomers Armond Armstead and Tommy Kelly at defensive tackle, but is now sans Brandon Deaderick and Kyle Love, who were recently released. Losing Love, who started last year and was recently diagnosed with diabetes, upset Wilfork a little bit, but he was not surprised by the move. When you’ve been in the league as long as he has, you learn not to be shocked by anything. Right now, Wilfork is focused on getting in shape and learning all the names that go with the new faces. He said he’s getting closer, but still hasn’t gotten them all down. As far as physical health, Wilfork said he is still working to get into playing shape and will next few weeks of organized team activities and June’s minicamp to get where he wants to be. It will be a grind, but that’s what he loves. Ivorian sprinter Murielle Ahoure on Saturday won the 100m and 200m events at of the Ponce Meeting, in the South of Puerto Rico. She first won the 100m event in 11’09”, her season’s best, ahead of Barbara Pierre and Alexandra Anderson. In the 200m, she registered the fifth best time of the season as she crossed the finish line in 22.47 ahead of Lauryn Williams et Candyce McGrone. The Ivorian burst on the international scene last year when she won a silver medal in the 60m event at the World Indoor Championships before qualifying for the 100m and 200m finals of the London 2012 Olympics where she finished 7 and 6 respectively. CLEVELAND -- Indians manager Terry Francona is not sure how Twitter works and he does not care to find out. Francona was also fine with closer Chris Perez's explanation for deleting the social-media account he used to interact with fans the past few years. Given Perez's history of actions and outspokenness, the disappearance of his Twitter account (previously @ChrisPerez54) following a pair of rough outings swirled into an unlikely news story. While it turned into a one-day distraction for this red-hot Indians club, Francona said Perez's intention was to turn the spotlight toward the team. "I don't know about it being a good idea or a bad idea," Francona said of Perez deleting his account. "I understand his reasoning was to focus more on what we're doing. So I thought his thought process was really good. I don't think I've looked at a Twitter in my life. I don't even know if I know how. But I like his reasoning, so I'm cool with it." Perez chose to issue a written statement rather than address the situation with reporters. "The decision to deactivate my Twitter account," Perez wrote, "was a personal choice I made in order to maintain the greater focus on the success of the team this season and our shared goals moving forward. We have an extremely positive and supportive group of players, coaches and staff members in our clubhouse, and I want to participate in activities and routines that contribute positively to the culture we're building here. "Out of respect for my teammates, I want to minimize any potential off-the-field distractions, so this is the only time I will comment on this topic. Thank you for your understanding." Last season, Perez created a stir in the first half, when he made critical comments about the Indians' low attendance totals. The two-time All-Star's comments upset a segment of the fan base, but he received a standing ovation in his first appearance in Cleveland after airing his thoughts. 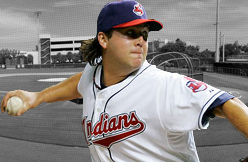 Perez's willingness to speak his mind has made him a polarizing figure for the Tribe's fan base. The closer was booed as he walked off the field Saturday, when he blew a save after giving up two home runs in the ninth inning of an eventual 5-4 win against Seattle. Perez also gave up a go-ahead home run in the ninth inning of Monday's 10-8, 10-inning victory against the Mariners. It marked the first time in Perez's career that he allowed home runs in consecutive appearances, but that did not stop some of his Twitter followers from attacking him on the social-media platform. It is possible that Perez, who is 2-0 with a 2.25 ERA and six saves this season, deactivated his account in part due to the harsh criticism he was receiving. Francona said he has no issues with how Perez has conducted himself this season. "He's been terrific, I would say, and more," Francona said. "His level of communication with me has been fantastic." The AFC East blog will begin its 2013 "Show and Prove" series this week. We will examine key players in the division who have a lot to prove this upcoming season. 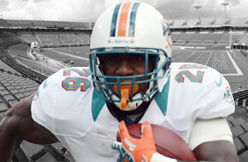 Let’s start with Miami Dolphins tailback Lamar Miller, who will be a first-year starter. What he has to prove: Miller must prove that he can carry the load in his second season. He showed a lot of potential in 2012 by leading the Dolphins with 4.9 yards per carry, but this year will be different with the departure of former starter Reggie Bush to free agency. Miller’s carries could increase from 51 last season to more than 200. That's a big jump. Miller had injury issues in college and must prove his durability. Miller also is a bit undersized and struggled mightily with pass protection. That’s a major focus for Miller if he wants to be the long-term solution at tailback in Miami. 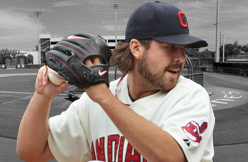 Walker’s 2013 outlook: I liked what I saw from Miller last season. 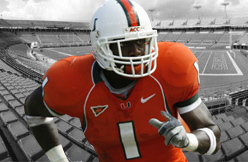 He has good burst and vision, which are two things needed from a tailback running behind Miami’s zone-blocking scheme. Miller is a better fit in that respect that Bush, who had a penchant to run east and west too often for zero or negative yards. However, I do have serious doubts about Miller as a pass blocker. Teams identified and exposed Miller last year in that area when he was in the game. He has a long way to go with taking on blocks, and I’m not sure he can make huge strides in just one offseason. Otherwise, Miami’s backfield of Miller, Daniel Thomas and potentially rookie Mike Gillislee should be solid and better than advertised. Tommy Streeter doesn't have any complaints about practice or tough offseason workouts these days. 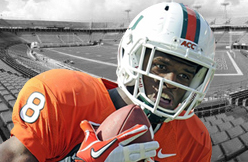 After spending all of last season on injured reserve, the second-year receiver out of Miami is relishing every opportunity he has to get back out on the football field. "Something about missing a whole year just makes you appreciate every day that you're out here," Streeter said. "I just count every day as a blessing. It's kind of liked a renewed love for the game." Streeter, a sixth-round draft pick, went on injured reserve with a foot injury he suffered in the final preseason game. 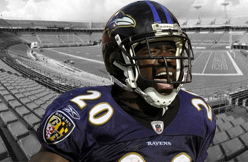 The injury put him out of commission for several weeks, and he wasn't even able to start fully running again until the Ravens were in the playoffs. As part of the IR rules, Streeter couldn't practice or participate in team drills. All he could do was workout, rehab, and participate in meetings. He was part of the team and on the sidelines for each game, but still felt distant. "It's kind of an in-between feeling," Streeter said. "You're supporting the team, having that ride, everything is going good, but at the same time everybody wants to feel like they're contributing something to the overall success of the team." Now Streeter is back to work in the heart of the action. He's been a regular participant throughout the voluntary offseason workouts, and he's in the middle of a competition for an open wide receiver spot. Streeter is focused first on earning a roster spot, and he also has much bigger goals in mind. "I want to be unstoppable," Streeter said. "I want to be one of the top receivers in the NFL. Period. I feel like God blessed me with all the tools, all the intangibles." Streeter is a rare blend of size and speed. He's 6-foot-5, 220 pounds, and runs the 40-yard dash in 4.4 seconds. He's known as a deep threat and jump ball target in the end zone, and he showed off those abilities at times during training camp last season. Streeter had a breakout season during his junior year of college, where he caught 46 passes for 811 yards and eight touchdowns. He played with confidence that season, and he's trying to get back to bringing that same mentality to the field each day. "You got to have that swagger," Streeter said. "You have to. You have to feel like you're unstoppable at the end of the day, whether it's true or not. You have to feel that way. Over and over you still have to have that mindset that I'm unstoppable. And you have to have that work ethic at the same time because you can feel that way, but if you aren't working toward it then it's just in vain. You got to have the work ethic and that will slingshot you to where you want to be at the end of the day." Streeter is in somewhat of an uncertain position as he's trying to stand out amongst of group of unproven receivers. He'll compete with Tandon Doss, Deonte Thompson, David Reed, LaQuan Williams and rookie Aaron Mellette for reps alongside Torrey Smith and Jacoby Jones. Like most young skills players, Streeter will also be expected to bring something to the table on special teams. "It's hard to say [your expectations] when you really don't know what your role is going to be, but it's just to capitalize on every opportunity," Streeter said. "Every ball that's thrown to me, catch it. Run the routes to the best of my ability. Be physical in the run game. Try to compete each play on special teams." In his time away from the football field, Streeter said he took time to examine his outlook on the game. He adjusted his mentality, and changed his attitude to become more coachable and opportunistic. Coaches have pointed to his professional development over the course of last season, and noted that he grew in his understanding of expectations and how to approach the mental side of the game. Streeter is going through this offseason with a different mindset than when he arrived as a rookie, and he's optimistic about what he can accomplish. "I feel like I don't take anything for granted. God puts you in certain positions for a reason. I just thank God for this opportunity. I just feel like everything will all work out, and I just got this unshakeable belief," Streeter said. "I'm excited, man. I'm excited." Arizona Cardinals wide receiver LaRon Byrd suffered a neck spasm while running a route during practice May 14, the opening day of voluntary organized team activities. It was reported by Kent Somers of AZCentral.com that Byrd would undergo an MRI following the injury. Byrd has since returned to practice, and in an update, Somers paraphrased head coach Bruce Arians, saying the second-year receiver is "fine and returned to work." However, Byrd returning to practice may not mean he is out of the woods completely with this neck injury. A neck spasm can have a wide variety of sources, so depending on the source Byrd could have recurring issues. Say, for instance, the spasm was caused by spinal stenosis (the same condition Pittsburgh Steelers rookie linebacker Jarvis Jones has). If left undiagnosed, he runs the risk of serious injury and even paralysis if he keeps playing. This piece from Bleacher Report medical Featured Columnist Dave Seibert, M.D. gives great insight into just what it is that Jones faces with spinal stenosis. It is currently unknown whether Byrd's MRI took place or whether he simply passed all physical examinations and was cleared to play. If it is the latter and he did not receive the MRI, it may be a good idea to go back and run the test anyway. Perhaps they catch something and are able to nip it in the bud. The 6'4", 220-pound Byrd has an opportunity to make a name for himself as a Marques Colston-type receiver; he uses his size very well and can get vertical when needed. Byrd enters the offseason as a No. 4/No. 5 fringe receiver, likely battling rookie Ryan Swope for playing time. He has the potential to be a lethal target in the red zone much like Colston has been for so many years. Forty-three of Colston's 58 touchdowns, a staggering 74.1 percent, have come from within the opponents' 20-yard line. That kind of potential is just that: untapped potential. It is not that Byrd will become "the next Marques Colston," it is the thought of having to wonder what could have been if this injury pops up again down the road. Byrd is lucky this injury, which appears to be minor for now, took place while he was running an unguarded route. Had he been running a slant into the teeth of an NFL defense on a Sunday afternoon this fall and had that happen to him, who knows what could have happened. Somers was a witness to the injury and, according to his report from above, Byrd clutched his neck and fell to the ground after turning his head to receive a pass. That kind of reaction at the wrong time could result in Byrd being blasted by a defender, risking further injury. For now, Byrd will not miss any time due to this injury. It will be something to watch, however, to see if this occurs down the road at any time. His loss from game action would take away a potential monster in the red zone and leave the receiving corps shorthanded. You may not believe it now, but Byrd will be an important piece to Arizona's offensive puzzle by season's end. That is, as long as his neck issue is history. Broncos rookies, veterans and hopefuls assembled for the first time this offseason on the practice field Monday in 11-on-11 drills. But in the long line of players from No. 2 (rookie quarterback Zac Dysert) to No. 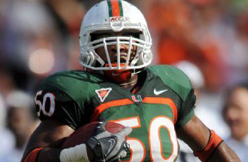 99 (defensive tackle Kevin Vickerson), there was no Willis McGahee. McGahee, who missed the final six regular-season games as well as the playoff loss to Baltimore with a knee injury, was not in attendance. He and left tackle Ryan Clady were the only offensive regulars not in the team's Dove Valley complex. Clady, who is recovering from right shoulder surgery, was designated the team's franchise player with a one-year, $9.828 million contract tender that comes with it. But Clady wants a long-term deal, has not signed the tender and has not been at the Broncos' complex during the offseason. "This is a voluntary camp," Broncos coach John Fox said. "We're real pleased with the participation that we have." Per the league's collective bargaining agreement, all 10 days of OTA (organized team activities) sessions, like the team's conditioning workouts in recent weeks, are voluntary for players. The only mandatory offseason work is a three-day minicamp on June 11-13, so players could be fined should they skip that one. 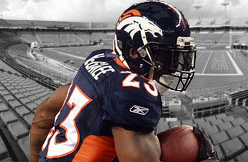 McGahee also was not at the Broncos' complex when OTAs opened last year. McGahee, who will turn 32 during the 2013 season, figures to be in a heated battled for playing time with more expected of Ronnie Hillman in his second season and the Broncos having used a second-round draft pick on running back Montee Ball. Asked about McGahee's absence, Broncos quarterback Peyton Manning said: "I can't really speak to that, I haven't had a chance to speak to Willis. I didn't realize that he was not going to be here. ... The guys that are here are working really hard, and hopefully Willis can get here as soon as he can." Brian Cushing, still undergoing rehab after his ACL surgery last season, is eager to get back on the field but will be out until at least training camp. “I’m doing all my on the field stuff. There are no restrictions so I think if anything, we’re just being patient right now,” Cushing said. The Texans had nearly full attendance at today’s voluntary practice for the start of organized team activities (OTAs). Duane Brown and Brooks Reed looked svelte. Whitney Mercilus’s arms looked gigantic. Greg Jones looked just as ripped as he did in Jacksonville, which led no fewer than three people to muse about how impressive his shape is in person. Though defensive coordinator Wade Phillips said inside linebacker Darryl Sharpton wasn’t cleared two weeks ago, Sharpton was cleared in time for today’s practice, in which he participated fully. One guy expectedly not present was safety Ed Reed, who is in Colorado rehabbing from arthroscopic hip surgery to repair a torn labrum. Texans quarterback Matt Schaub and wide receiver Andre Johnson both missed OTAs because of injuries in 2012. They’re both fully healthy in 2013. The Texans’ defense is currently without Brian Cushing and Ed Reed, but the only 2012 starter on offense missing OTAs due to injury is right tackle Derek Newton. Johnson missed OTAs last offseason after having arthroscopic knee surgery. He missed nine games with hamstring injuries in 2011 and hyper-extended his knee in between. He went on to start all 16 games in 2012 and, at the age of 31, led the AFC with a career high with 1,598 receiving yards. Schaub missed last year’s OTAs while recovering from a season-ending 2011 Lisfranc injury. 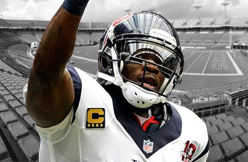 He started every game in 2012 and led the Texans to a 12-4 record and the second round of the playoffs. But the Texans finished 2-4, a span in which Schaub threw three touchdowns and five interceptions. Charleston RiverDogs catcher Peter O’Brien was named the South Atlantic League Player of the Week on Monday afternoon. In six games last week, O’Brien hit .409, going nine of 22 from the plate with two home runs, three doubles, eight RBI, 12 runs scored, and seven walks. O’Brien started the week out with a perfect 3-3 game with a double, homer, walk, and three runs scored against the Savannah Sand Gnats in Charleston. He followed that up with a 2-4, two-RBI performance the next day. The powerful catcher capped off the RiverDogs sweep of Savannah going 1-2, with a home run, two walks, three RBI, three runs scored line in the series finale. O’Brien collected at least one hit in all six games he played during the week. 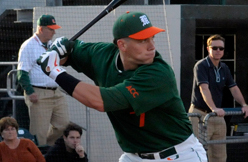 A native of Miami, FL, the 22-year-old catcher was selected by the New York Yankees in the second round of the 2012 MLB Amateur Draft out of the University of Miami. The first place RiverDogs are in Savannah to face the Sand Gnats for a three-game series Monday through Wednesday. Charleston returns home starting Thursday for a four-game home stand against the Greenville Drive. 8-Twelve MVP Bar and Grill, a restaurant associated with athletes Ryan Braun and Aaron Rodgers, will open its second location at Glendale's Bayshore Town Center. The new 8-Twelve will be located in the space now leased to COA, a locally owned Mexican restaurant which Marc and Marta Bianchini opened in 2009. COA closes June 30, and 8-Twelve is expected to open in the fourth quarter, said David Moss, Bayshore general manager. 8-Twelve opened its first location last July in Brookfield. 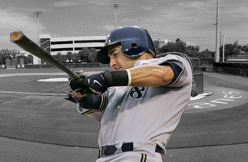 Its name comes from the jersey numbers for Braun, leftfielder for the Milwaukee Brewers, and Rodgers, quarterback for the Green Bay Packers. The restaurant is operated by SURG Restaurant Group, which is owned by Mike Polaski and Omar Shaikh and has a licensing agreement with Braun and Rodgers. Much of 8-Twelve's produce, beef and pork is provided by Polaski's Hidden Creek Farm, in New London, as well as other Wisconsin farms. 8-Twelve's Bayshore location will feature private dining rooms, as well as a large dining room and spacious bar area. The Brookfield 8-Twelve, 17800 W. Blue Mound Road, made Journal Sentinel dining critic Carol Deptolla's list of 2012's best new restaurants. On the Bayshore lease, Surg and 8-Twelve MVP were represented by brokers Steve Palec and Michael Levine of Cresa. Here comes trouble in San Diego. Or, assistance. Hard to say which right now. One week from Tuesday, convicted drug cheat Yasmani Grandal becomes eligible again for major-league duty, having served his 50-game penalty for a positive performance-enhancing drug test. Which means these very well may be the final days on San Diego's major-league roster for Nick Hundley … or, more likely, for backup John Baker. And here's the thing: As things stand right now, the Padres have turned their season around. Following a horrible 2-10 start, they regained their balance and now have won 16 of their past 24 games after dispatching the Cardinals 4-2 Monday. In fact, the Padres' 16-8 record since April 24 is tied for the best in the National League. The Cardinals also are 16-8. They've won 12 of their past 15 home games. And they've moved 2 ½ games ahead of the last-place Dodgers. All of which brings up the dreaded “C” word -- chemistry. Might the addition of Grandal alter things in a way that leads the Padres into a regression? Or will the addition of a bat that hit .297 with a .394 on-base percentage, eight homers and 36 RBI in 60 games last season propel San Diego to even greater heights? And another question: Was what the Padres saw last year the real Grandal? Or was some of that the Vitamin S talking? Sorry. That was two more questions. The Padres right now are mostly mum on the matter, preferring not to get too far out ahead of themselves. Black sidestepped specific questions regarding the club's plan for Grandal next week, and you can't blame him. Who knows what might happen by then? One of their current catchers is injured, the Padres can avoid answering specific questions even longer than six or seven days from now. Nothing says the Padres must activate Grandal on May 28, when he becomes eligible. Hundley is 2 for 40 so far in May, Baker 3 for 18. Hundley is 1 for his last 36, has one RBI during the month and is hitting .050/.152/.075. For the season, he's at .235/.285/.387. Baker is hitting .200/.294/.200, and before a two-run single at Baltimore last Wednesday, was in a 0 for 19 funk. For the season, he's at .162/.279/.162. “There's that looming question of what's going to happen,” third baseman Chase Headley says. “But that's for the people who make those decisions. Awkward or not, it has the potential to be uncomfortable for a bit. If Hundley sticks around, his playing time likely will be reduced given his prolonged slump at the plate. Hundley, who signed, a three-year, $9 million deal in March, 2012, knew the score going into the season. As he said this spring, this isn't the San Diego Boys' Club where everybody gets a turn. This is the big leagues, with big money, big expectations and big-time pressure. “It happens all the time in baseball,” Headley says. “You see guys come and go whom you have great relationships with. It happens all the time. 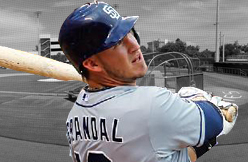 In Omaha, Neb., on Monday night, Grandal went 1 for 4 with a walk and a strikeout for Triple-A Tucson. In three games with Tucson, he's hitting .333 (3 for 9) with three RBIs and a .400 on-base percentage. What's clear is that, unless things change, especially at the plate, Hundley and Baker are making this decision easier by the day for the Padres. CLEVELAND -- Speaking after Monday's thrilling 10-8 walk-off win in extra innings, Indians closer Chris Perez sounded like a guy who thinks something might be wrong. In the ninth inning of a tie game, Perez threw an 0-1 fastball to leadoff hitter Endy Chavez, who launched it into the right-field seats to give Seattle a 7-6 lead. Chavez's homer came two days after Perez served up solo shots to Raul Ibanez and Justin Smoak that tied Saturday's game in the ninth. "I don't know if I've mentally changed my mechanics with that little shoulder hiccup a week or two ago," said Perez, who felt shoulder stiffness while warming up on May 12. "I'm not one really to look at a lot of video, but I definitely will get in there tomorrow to see if I can pick up anything. Maybe I'm not closing off enough when I come set -- something." Prior to the four-game series with Seattle -- which the Indians swept -- Perez had only given up one home run, a long ball to Jose Bautista that came back on April 3 in Toronto. The four solo shots account for all the earned runs that Perez -- who insists he's healthy -- has surrendered in his 15 innings. "If I can walk the leadoff hitter, we'd be all right," Perez said. "Sometimes, you have to tip your cap. Again, today, I didn't think it was a terrible pitch. He just put a good swing on it and it went. It's just one of those things. "It's a slump -- a little slump, mini-slump. 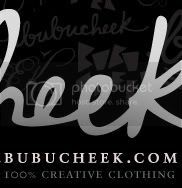 It happens once or twice a year and you just have to keep grinding, keep trying to make good pitches and get through it." Perez is 6-for-8 in save opportunities. He has a 2-0 record and 1.80 ERA. Indians manager Terry Francona isn't overly concerned about his closer -- it'll take more than three home runs in two outings for that to happen. "That's just part of it. That's the nature of the game," Francona said. "When you're in that role and you give up a home run, it's glaring. That's part of pitching at the end of games. The good part is he feels good and he's done this before. He's going to be a big part of what we do." SAN DIEGO • Almost as fast as you can say Jon Jay, the Cardinals center fielder has gone from table setter to run producer. Jay, the leadoff man for much of the second half of last season and for the first month this season, has fit comfortably into the lower part of the lineup after struggling to reach base when he hit first. Although he didn’t drive in a run Monday in the Cards’ 4-2 loss to the San Diego Padres, he had two hits and has driven in 15 runs in his past five games and had lifted his RBI total to 23, fourth highest on the club. Through Sunday he was hitting .342 with men in scoring position and .415 overall in his past 23 starts. Jay had driven in 27, 37 and 40 runners in his first three big-league seasons but is on pace for 80 or so now. “Those numbers for his lack of production in the past were kind of false numbers,’’ Cardinals manager Mike Matheny said. “He takes good at-bats. You don’t see him do much different with guys in scoring position. Jay insists he is the same player whether he hits first or whether he bats sixth or seventh. And by that, he meant not only does the lefthanded-hitting Jay feel capable of meeting any game situation but that he wasn’t afraid to make a rather radical in-season approach to his stance. Where he used to lay the bat on his shoulder and then had a lot of movement before the pitch was delivered, Jay switched to having his bat more perpendicular to the ground and with less movement. The idea actually was fomented in the offseason when Jay called Mabry, who moved up from assistant hitting coach to the hitting coach position, and said he wanted to make an adjustment. Jay didn’t really implement the plan much until about a month into season, with veteran outfielder Carlos Beltran also offering his advice on the matter. But Mabry admitted he and Jay were taking a chance of an in-season adjustment. “It’s always a risk, any time you do something like that,” Mabry said. “You also might get better and reach your potential. You have to understand there are times when you have to do things in order for longevity in the league and to be the best player you can be. There is some psychology involved, though, Mabry said. “As a player, you have to be the one that wants to make the adjustment,” said Mabry, who had to make several as a hitter in his career. “If someone tells you you need to make the adjustment, you don’t wholeheartedly buy in all the time. “As a player, if you say, ‘I think I can do something a little better and I want to try this,’ then you can buy into it. “Any time you try something new, you can leave yourself a little bit vulnerable. Whether it works out or doesn’t work out, you can always have the experience of having tried it and seeing if you liked the results — if you got to balls you weren’t normally getting to, if the ball was carrying a little farther and if you were laying off balls that you wouldn’t normally lay off. “All those things are a sign of a positive change. And I think he saw enough of that to maybe want to do it a little more. 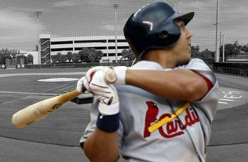 When he talked to Carlos, and (Beltran) reaffirmed it, that gave him the nudge in the right direction he wanted to go. “You’re kind of making a leap of faith. And when you make that leap of faith and have immediate results, you say, ‘Whoa, this might be a way to go.’ If you go that way and struggle, you might never buy into it. BALTIMORE – Danny Valencia was hitting too well at Norfolk for the Orioles to ignore. Valencia was batting .306 in 40 games for the Tides, and he was placed in the lineup as the designated hitter on Sunday. “You never know what to expect, so it’s definitely surprising,” Valencia said. He was told on Saturday afternoon when the team was in Durham, N.C., and caught a flight to Baltimore. Wearing No. 35, Valencia, who was acquired over the winter from Boston, has played a few games recently in the outfield, but is primarily a designated hitter. He plays third and third, but isn’t likely to get playing time there. Norfolk began play with a 29-14 record with L.J. Hoes, Jason Pridie and Travis Ishikawa all hitting .300 or better. “The whole lineup has been doing well. I capitalized on a lot of the mistakes they’ve given me,” Valencia said. The right-handed hitter replaces Ryan Flaherty on the roster and hopes he can stay here for a while. “It’s the best situation when you feel like you deserve a chance. I hope it turns out well,” Valencia said. The Cleveland Browns feel confident WR Travis Benjamin and RB Dion Lewis can handle the return duties, which is why fan favorite WR Joshua Cribbs (Raiders) (knee) was allowed to leave via free agency without much effort to re-sign him. 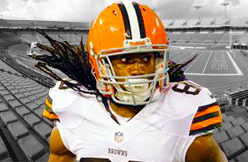 Plus, Cribbs is 30, and there are concerns about his knee. There’s an intriguing post-script when it comes to the recent news that Texans safety Ed Reed needs hip surgery that could cause him to miss part of training camp. We’re told that the Ravens, while not specifically aware of the extent of the problem, generally knew that Reed’s hip was bothering him. The Texans apparently didn’t. During my weekly visit with Nick Wright and John Lopez of SportsRadio 610 in Houston, the hosts played some sound from a doctor who was on the show Thursday. Specifically, Dr. Kenneth First explained that Reed’s torn labrum wouldn’t have been detected via a physical or an X-ray. This means that the Texans either didn’t ask Reed if his hip (or any joint) was bothering him, or the Texans asked and Reed didn’t disclose it. Dr. First also explained that the surgery isn’t minor (contrary to the characterization from owner Bob McNair), and Dr. First believes that if this were happening with a key player on a big-market team, it would be a lot bigger deal. Regardless of the market, it’s amazing that more hasn’t been said about Reed’s ability to sign a multi-year deal with the Texans despite a not-insignificant condition about which his new team didn’t know. And if the Texans believe or suspect that Reed wasn’t completely candid about the situation, that could make for an awkward start to his tenure with the team. Will Jon Beason Restructure His Contract? 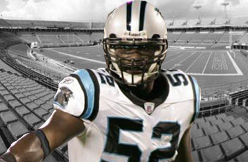 Will Jon Beason consider restructuring his deal? That question was resurrected Wednesday after the news of RB DeAngelo Williams restructuring his deal with the Panthers. There are no indications the Panthers have approached Beason about restructuring his contract, which he inked in 2011 as a five-year, $51.5 million deal. Since then he's suffered an Achilles injury that sat him out nearly all of the 2011 season, and shoulder and knee injuries kept him out of three-quarters of last year. At $8.4 million under the cap, the Panthers aren't under any great pressure to restructure another contract, especially one for a former Pro Bowl linebacker who just lost his starting middle linebacker position. But an insurance policy on a high-priced, important but recently oft-injured part of your team? Denver just showed it can be done. 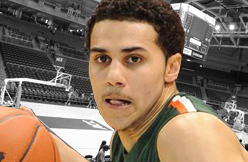 Shane Larkin recorded the second-biggest maximum vertical leap in combine history. Larkin's 44-inch maximum vertical stands second to Kenny Gregory's 45-and-a-half inches in 2001. Larkin also posted a 34.5-inch standing vertical leap and the fastest time in sprint drills (3.08) thus far, according to Jeff Goodman of CBS Sports. Larkin's raw athleticism is undeniable with the impressive combine results he posted. Shane Larkin and Kenny Kadji likely improved their NBA Draft stock on Friday by wowing the scouts at the NBA Combine in Chicago. Larkin registered a jaw-dropping 44-inch vertical leap, the second highest ever and best since Kenny Gregory jumped 45.5 inches in 2001. Heading into the combine, Ford said of Larkin: “He’s got a great vertical; he’s very quick with the ball. Actually, when you start to look at some of the advanced metric numbers, he tests as a top-10 player in the draft. SI.com: Your father, Barry Larkin, is a Hall of Fame baseball player. Why didn't you get into baseball? Shane Larkin: "Pete Rose and Tony Perez taught me how to hit. Tony Perez had the whole bat waggle and Pete Rose lifted his leg. I had those things in my game early on, as an eight-year old. I was playing baseball at a YMCA in Orlando and when I came up to bat my coach saw my whole routine and he told me 'Stop what you're doing; whoever taught you how to hit doesn't know what they are talking about. Give it up. Plant your foot, keep the bat still and you will be way more successful.' So I tried to do what he said, but I couldn't hit the rest of the season. And that was the last year I played organized baseball." SI.com: Did you ever feel pressure to play baseball because of your father? SL: "Not really, because he never put any pressure on me. Of course, when I was in the clubhouse the guys on his team were always like, 'When are you going to get out here on the field,' but it was never pressure from my Dad. He actually wanted me to play football. That was the only sport he made me play. I wanted to play soccer because the kids at my elementary school played soccer, but he said, 'Football was fun, I [have to play] football -- he went to Michigan on a football scholarship -- and if you don't like it you don't have to play again.'" San Diego Padres C Yasmani Grandal returned to game action Saturday, May 18, for Triple-A Tucson, catching nine innings. He went 2-for-4 with a run scored and RBI. He is allowed to play 10 minor league games before he is eligible to return from his 50-game suspension and play for the Padres May 28. Fantasy Tip: Grandal is expected to split time behind the dish with Nick Hundley when he returns, and manager Bud Black has said he will go with the hot hand. Grandal is worth adding in all NL-only fantasy leagues, and is decent depth in mixed formats in leagues which require two starting backstops. 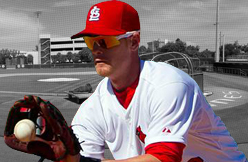 St. Louis Cardinals infielder Ryan Jackson is blistering hot for Triple-A Memphis, hitting .488 in his last 10 games and posting a .385/.453/.525 line through 122 at-bats. 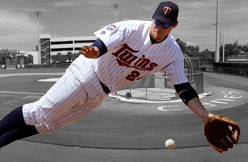 He remains well-regarded as a defender and has played solid defense at both third base and shortstop this spring. Although Pete Kozma isn't hitting like Roy Hobbs in St. Louis right now, he's held his major league job so far and has played well with the glove. At this point Jackson represents infield depth to cover injuries and possible trade bait for later in the season. BALTIMORE — Danny Valencia’s Baltimore Orioles debut went well when he ripped a double in his first at-bat Sunday afternoon, one day after the 28-year-old got word he was being promoted from Class AAA Norfolk. Valencia replaced struggling second baseman Ryan Flaherty, who was optioned following Baltimore’s 10-6 loss to Tampa Bay, and was the Orioles’ designated hitter Sunday against the Rays. He was hitting .306 with the Tides before his call-up and saw time recently as an outfielder. Valencia can play infield as well, but it’s unlikely he’ll play second with Alexi Casilla and Yamaico Navarro on the roster. Valencia had seven home runs in his last 10 games with Norfolk, and had 14 doubles, 11 homers, and 35 RBIs on the season. He went 1 for 3 Sunday against Tampa Bay starter Matt Moore and nearly hit a homer in the seventh inning, a fly ball that center fielder Desmond Jennings caught on the warning track just in front of the 410-foot sign.